Games of Mystery is pleased to announce this week's new mystery and suspense casual and adventure games available for immediate download from Amazon Video Games. A complete list of downloadable mystery games is available on our Games of Mystery: Amazon Video Games Download page. 1888, London, district of Whitechapel. A series of particularly horrible murders takes place in this district of the East End of London where atrociously mutilated prostitutes' bodies are found. The police are unable to find a serious lead and the murders increase creating a real psychosis. Sherlock Holmes starts looking for clues in the dark and sinister alleys of Whitechapel in order to follow the macabre trail of the one the press now calls Jack the Ripper. During a frightening adventure, Sherlock Holmes will try to bring out the true identity and the motives of the one who hides behind this scary alias. 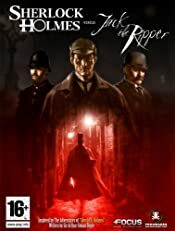 Presented in full 3D, Sherlock Holmes vs. Jack the Ripper offers players 2 different perspectives available at any moment in the game: a third-person view in the pure style of traditional point 'n' click adventure games and a first-person view for close-up investigation. Players have the total freedom to choose either of the angles they wish or use them both to immerse themselves completely in this terrifying adventure. Windows Vista/XP (1590 MB download). 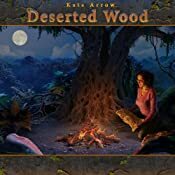 Set off on an adventure to help Kate return a valuable idol to a tribe by traveling deep into the jungle to find her grandfather in this fun hidden object game. Pack your bags and use your wits to avoid dangerous situations, and make it through a plane crash! Track down your grandfather and deliver the powerful idol that he has promised to the tribe that saved his life many years ago. Windows Vista/XP (151 MB download). A cold case heats up when an inquisitive writer is put on ice. Regina Blacklock, celebrated true-crime author and friend of the Women's Murder Club, is famous for uncovering the truth. But sometimes the truth can be deadly. Now her latest book is also her last. When Regina's body is discovered in her car, authorities find a strange clue leading them to the Women's Murder Club. Join Lindsay, Claire and Cindy as they reveal what the murder of a teenage girl from 1975 has to do with Regina's recent demise. What did Regina uncover when digging deeply into the past ... what will you find in the present? Discover the truth behind the lies in the fourth chapter of the hit series critics have called "smart,""inventive," and "refreshingly different." Search for hidden clues in a variety of beautifully illustrated scenes. Choose your own path as you explore a seemingly quaint, northern California town tormented by one horrifying night. Reveal a chilling story by solving challenging puzzles. Search for the disturbing truth behind the little black lies. Based on characters created by bestselling mystery author James Patterson. Windows Vista/XP (200 MB download). 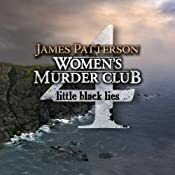 Read Ms. Terri's Review of Women's Murder Club: Little Black Lies. Help Christine explore the spooky Ashburg Asylum and find her missing grandfather in this dark hidden object game! Travel to the eerie grounds of Ashburg and work your way through spine-chilling locations. Solve unique puzzles to progress deeper into the asylum, and closer to Christine's grandfather. Meet interesting characters, unravel a mystery, and uncover an evil plot! Windows Vista/XP (191 MB download). 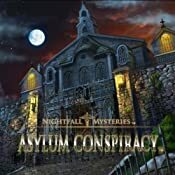 Read Ms. Terri's Review of Nightfall Mysteries: Asylum Conspiracy.